This little gem will win a place in your heart and your garden! The vigorous indeterminate vines produce trusses of heart shaped 1 inch deep red fruit. Developed by genetic conservationist, Will Bonsall of Maine. 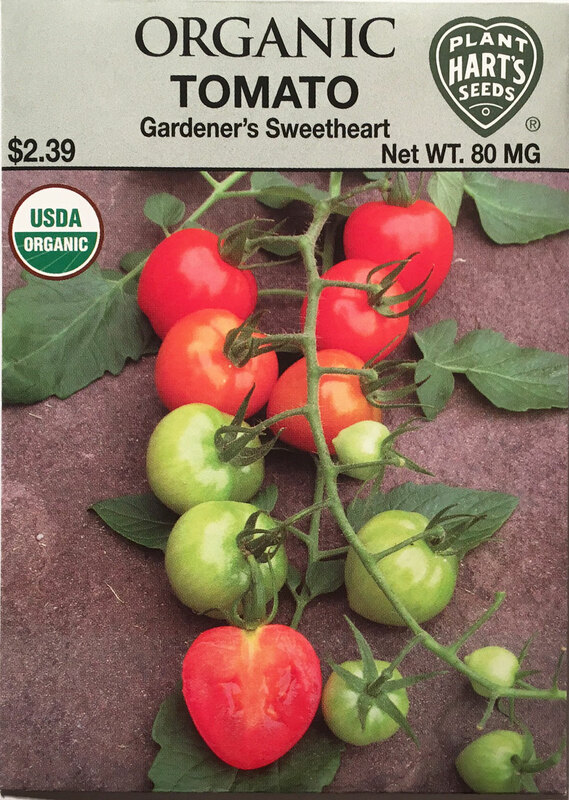 Each fruit is very firm with a complex well-balanced flavor that surpasses other cherry tomatoes. Cut one open and the aroma will fill the kitchen. Great snack fresh off the vine and makes the best salsa we've ever tasted. 10% of the sale of each packet will be returned to Will Bonsall to support his efforts developing more great varieties! Planting time - inside in 'soil-less' mix 4-6 weeks before the last frost date in your area. Germinates in - 10-15 days depending on the soil temperature and moisture. 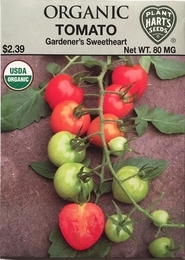 Thinning - when plants are 2-3 inches tall, transplant into 4 inch individual pots. Transplant into the garden when all danger of frost has past. Final spacing should be 36 inches apart. Add support for plants when transplanting them into the garden.